The race for leadership in the upcoming All Basotho Convention elective conference is quite interesting. A recent development that saw the National University of Lesotho Vice Chancellor Nqosa Mahao publicly announcing he will be locking horns and digging heels into the sand in contest for the deputy leadership post was the icing on the cake. But can Professor Mahao really fill Thomas Thabane’s shoes? If he succeeds, Mahao could end up being a successor in the legacy of Thabane who founded the party in October 2006. Thabane has proved to be an outstanding leader at least for a fact that his ABC has not ceased growth since the beginning. In February 2007, three months from its establishment, Thabane’s ABC won 17 constituency seats and became the strongest party in opposition against the then ruling Lesotho Congress for Democracy under Pakalitha Mosisili, who dreamt who would still be prime minister today. Despite accusations of his dictatorial style of leadership, Thabane was clear from the onset – he was to become the greatest rival for Mosisili and his congress movement after the Basotho National Party’s Leabua Jonathan. Thabane’s political concept was to mitigate a longstanding rivalry between nationalists and congress movements rooted from as way back as during Leabua’s regime in the 1970s. He did this by putting up together a convention of ‘All Basotho’. His political ideology of fighting poverty and corruption was well received by masses. InMay 2012, Thabane’s ABC won 26 constituency seats coming out second afterMosisili’s newly formed Democratic Congress that won 41. But Thabane outsmarted Mosisili by managing to cobble up together Lesotho’s first coalition government with the LCD, now under Mothetjoa Metsing, and Thesele Maseribane’s BNP. 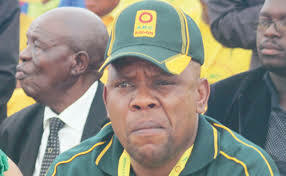 Mosisili’sDC had failed to secure 61 parliamentary seats that could warrant the party an outright victory. 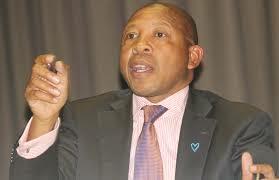 Bitter, the DC leader who found himself a backbencher for the first time since becoming Lesotho’s premier in 1998, condemned the tripartite alliance of Thabane, Metsing and Maseribane. He anathematised the union as the marriage of convenience and he was vindicated. Thabane’s government collapsed halfway its term. In February 2015, Thabane’s ABC won 40 constituency seats followed by Mosisili’s DC with 37. But it was Mosisili this time who cobbled up together a seven-party coalition government. It failed halfway its term too. In June 2017, Thabane was back in power with his ABC having garnered 51 constituency seats followed by DC which was now down to 26. It is clear from looking at the trend above that the ABC has a potential of winning elections outright in the near future. But the question is who will lead the party into that moment of victory? Does Prof Mahao have what it takes? Where was Professor Mahao all along in the political sphere? If not his whereabouts, what has Mahao career path in leadership been like taking that he now wants to be entrusted with a job our citizenry has only entrusted to a few old men within the past fifty years since independence? Mahao is currently a NUL Vice chancellor and chief accounting officer of the country’s major university and has surprised many by turning around a few things at the university and has brought some semblance of stability at the ever turbulent NUL. NUL has transformed during his time and dared to tackle the country’s most challenging problems of unemployment through use of science and technology, research, innovation and creativity to create Basotho own products, a thing one would only envision could come out of NUL. But Mahao is also a man we now have come to be told has in the past while a lecturer at NUL been tolerant if not an alleged perpetrator of the crime of demanding a thigh-for-a-pass from students at the same University he is a Vice Chancellor at. Such remain untested allegations may be meant to taint his image and character at this very important time when he has thrown his hat into the basket to show interest to be elected to the top position within the ABC and ultimately and possible the country premiership if Thabane is to retire. To the Mahao family, Prof Mahao has been leading the fierce battle for justice by the Bakhoele Clan seeking killers of their slain and former Lesotho Defence Force Commander Lieutenant General Maaparankoe Mahao brought to justice. Since the untimely and brutal killing of younger brother, Prof Mahao has become a human activist and staunch proponent of the rule of law and justice in the country in demand for Lt Gen Kamoli and soldiers said to have been responsible for the killing of his younger brother to be brought to book. He has also consistently been on the forefront for the demand for accountability to the extent that he recently led the families of the victims of the atrocities suffered by many in the country in their demand to see clause 10 of the Southern African Development Community(SADC) brokered peace deal between Government and opposition declared unconstitutional. To those drumming up support for his candidature, they see him mostly as a man with a shrewd character that can run ABC, a party whose leadership has always been much centralised to Thabane. In fact, some claim he is worse than Thabane, an astute politician and can keep many of the various rowdy chatterboxes and “gangster” characters within the ABC at bay and run the party effectively. One impediment to Mahao’s candidacy could be the ABC constitutional requirements to run for office. These constitutional requirements come as a setback for his candidacy and could lead to his failure to meet certain party structural requirements to contest for power, things like having a prior record of being a committee member at various structures within the party could be used to challenge his candidacy for this election, not unless a special dispensation shall be put in place to let him contest. His opponents may petition the high court in demand to have the court declare his candidacy unconstitutional. Mahao in is not alone in the race, he is locking horns with a man who has come to be loved by many and hated by those on a quest to enrich themselves illegally from the public purse, Dr MoeketsiMajoro. Being a leader of a second faction or camp vying for power within the ABC, does not imply in any way that the candidates are ranked in this order, in the contest. Majoro, joining the ABC’s politics with an impeccable career within the public service, a former NUL lecturer also, and a Bretton Woods institution probably preferred candidate having worked at the world bank, has his feet into the muddy contest for political power in the ABC. This contest, Majoro is joining at a time when rumours are rife that even though no one dares to challenge Thabane to retire directly from party leadership, but speculation is that after the elective conference much pressure could be mounted on him to resign and make way for newly elected party deputy leader to take over as party leader and possibly the country’s prime minister. Since joining party politics and being appointed the country’s finance minister, Majoro’s name is surrounded with many stories of various attempts from forces within ABC to have him kicked out of Thabane’s cabinet. But he continues to lead the country’s fiscal policy. Speculation is rife that in his early weeks as finance minister, the Premier under alleged pressure from the First Lady wanted Majoro shown the door to claims that he is currently at the forefront of a group of ministers and technocrats trying to deny Prime Minister Thabane and his spouse a new motorcade that could cost this impoverished country a million of Maloti. Being a finance minister of a country at a brink of being declared a failed state and its currency about to lose its most important status of being equivalent to the South African Rand due to diminishing reserves resulting from past financial blunders, Majoro has been working tirelessly to cut government’s luxury spending, funds misuse and mismanagement and stabilise the ailing economy through some hard decisions of adopting austerity measures. But, Majoro is fighting a tough battle with only a few good men and women standing by his corner to fight the abuse ofstate resources within the four-party coalition government. Some argue Majoro is too weak for Lesotho politics and too much of a democrat that he cannot be entrusted to lead the ABC as it’s a party that needs someone capable of dragging everyone along and flogging those who do not toe the line back to order. What is interesting is that contrary to Mahao, Majoro is already in a member of parliament has served in various committees of the party. Last but not least Prince Maliehe, a man that we’ve come to learn through the grape-vine that Thabane was pressured to appoint to the party deputy leadership position to balance the scales within the party when the Berea legislators were demanding to have some cabinet positions awarded to them. While it also goes that his appointment to the deputy leadership position was somewhat the makings of the pressure mounted allegedly by the first lady over the prime minister. If it is anything to go by, Maliehe is a man who was handpicked by Thabane himself, a candidate one would say could make a good anointed or worse case puppet successor that Thabane may easily control if he decides to retires from active party politics and hands the premiership to his deputy. In a fashion similar to that of the DC deputy leader come official leader of opposition Mathibeli Mokhothu being catapulted by former premier Mosisili to deputy leadership, Maliehe was also catapulted by Thabane to deputise him. A move that seemingly gave him a headstart in the contest for power within the ABC, amid little progress made for the campaign to have him formally elected as Deputy Leader. But question is whether this man, handpicked or not did utilise the few months head start he was awarded on a silver platter to impress his party cadres to endorse the party leader’s decision. Well, little can be said about his achievements and quest to claim the ABC leadership position, but come February elective conference we will see who shall emerge victorious. Wool trader @Moteane speaks of the impact of a Chinese owned monopoly in wool and mohair trade by Prime Minister Thomas Thabane’s Gov't. #LesothoPolice officers continue to be pepetrators of Human rights violations. In these two video clips being circulated today, police officers are caught on Camera assaulting taxi drivers. Taxi drivers are usual victims, either they coerced into paying bribes or are assaulted. We are joining the National Celebration of #BasothoNationFounder King #Moshoeshoe at #Thaba_Bosiu to raise funds for @CijLesotho. We are a Nonprofit dedicated towards promoting Investigative Journalism in Lesotho. Offices: Lesotho Red Cross Society Headquarters, 23 Mabile Road, Old Europa, Maseru, Lesotho.